Jeep Grand Cherokee drivers are just as comfortable in hiking boots as they are in dress shoes. The places that require hiking boots tend to be much messier than the office, however. Chances are you're bringing back plenty of mud, dirt and water when you're done with your adventure. And no standard floor mat can handle that. 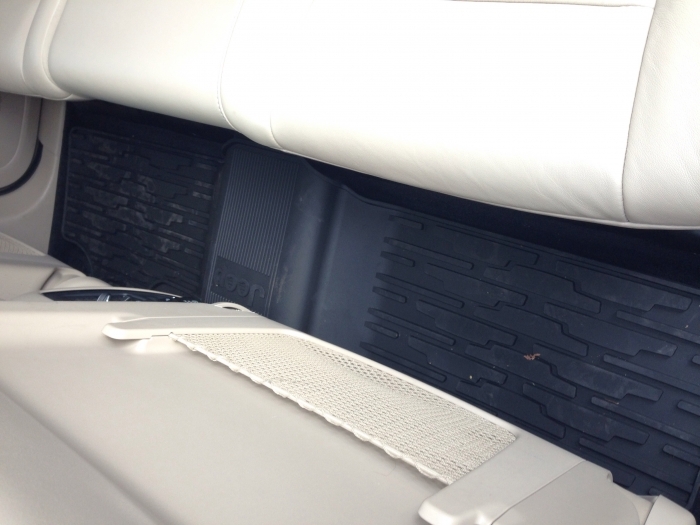 These new Jeep mats are hiking shoes for your 2011 and newer Grand Cherokee's interior. 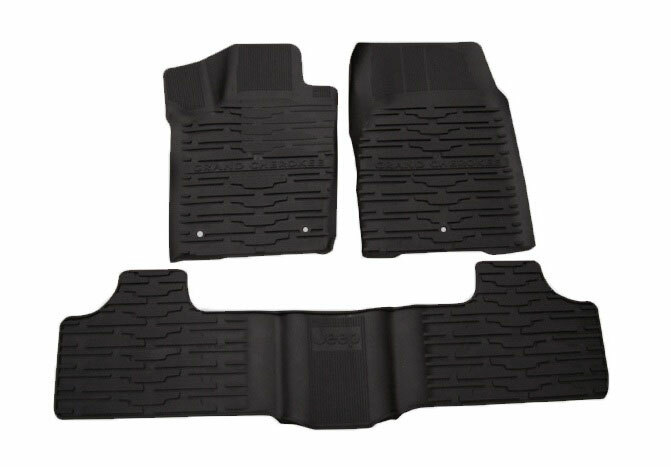 The WK2 Grand Cherokee Slush Floor Mats are constructed with deep treads and tray-style high walls to handle anything that drips or melts off your shoes. They are made from a superbly rugged rubber that can handle the sharp treads of golf shoes, ice cleats or other gear. Best of all, they are made by Mopar, the same company that makes almost every other part in your Jeep. That means they will fit snugly and securely - right down to the retention hooks - and feature the same "Jeep" and "Grand Cherokee" logos featured all over the rest of the interior and exterior. 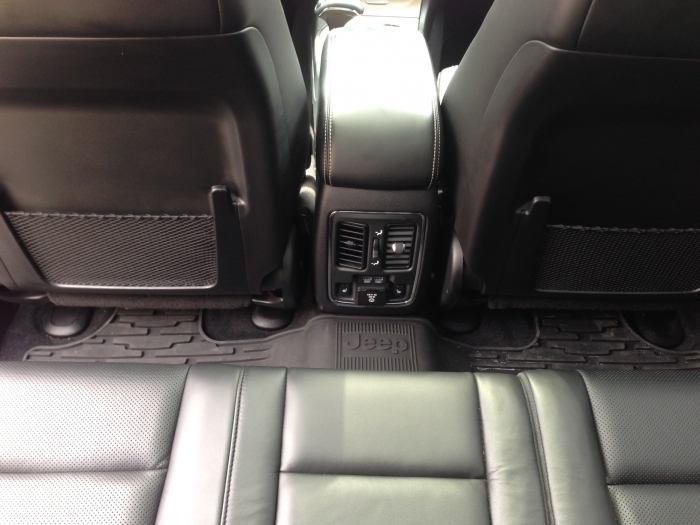 You'll be able to easily remove them for cleaning, and keep the floors of your Jeep looking grand. Please select model year above. 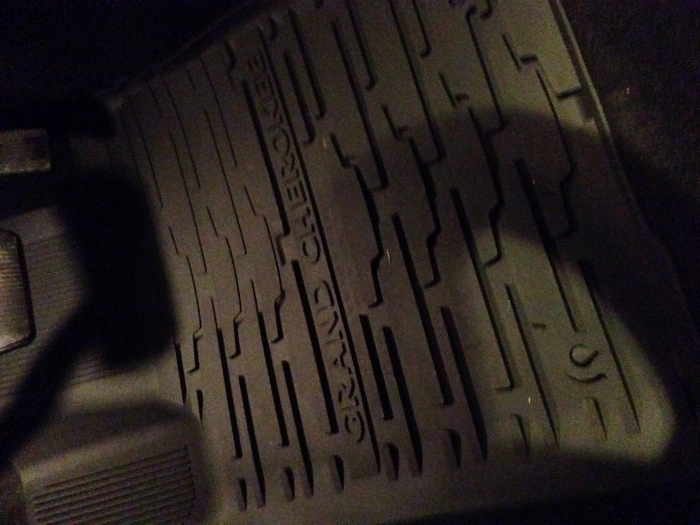 These are excellent floor mats because they are great quality rubber, nice design on floor mat, catches all dirt, prevents liquids from running onto the carpet and fits PERFECTLY into my 14' Grand Cherokee. 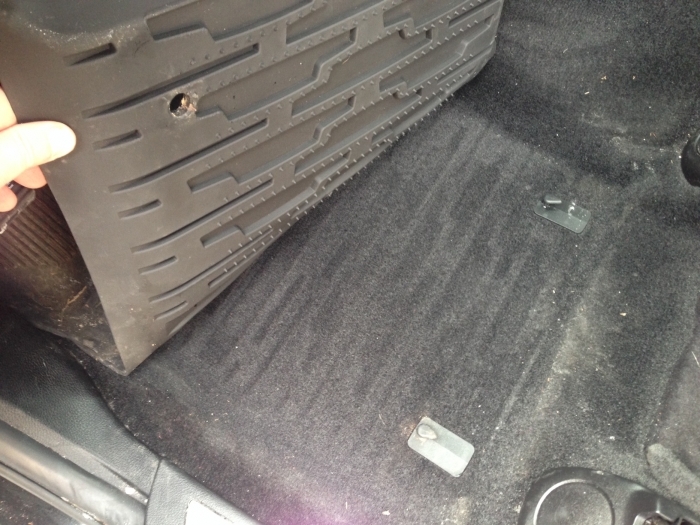 I keep the rear floor mat(which is one piece) in the Jeep all year round and put the factory carpet floor mats right over top after the winter season is over- see pictures for example. But, they say you're only supposed to keep one floor mat on the fronts for safety reasons, especially for the driver. One picture I attached below shows the driver's rubber floor mat being lifted after all winter long and there being no dirt/stains on the carpeting directly beneath the rubber mat- proves it works great after dealing with all of the snow and rock salt from the winter! As described, custom fit, and quick shipping. ProsCustom fit and quick shipping, quality material. Looks great, fits great, and fits better than Weather Tech. 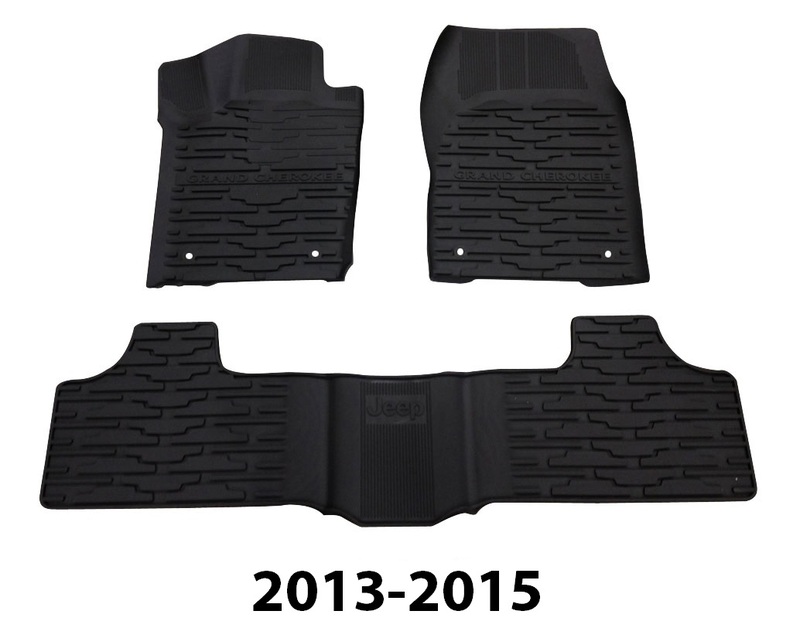 Great products - less expensive than Weathertech, however, just as good!! in the center where they join together on the "hump" on the floor. 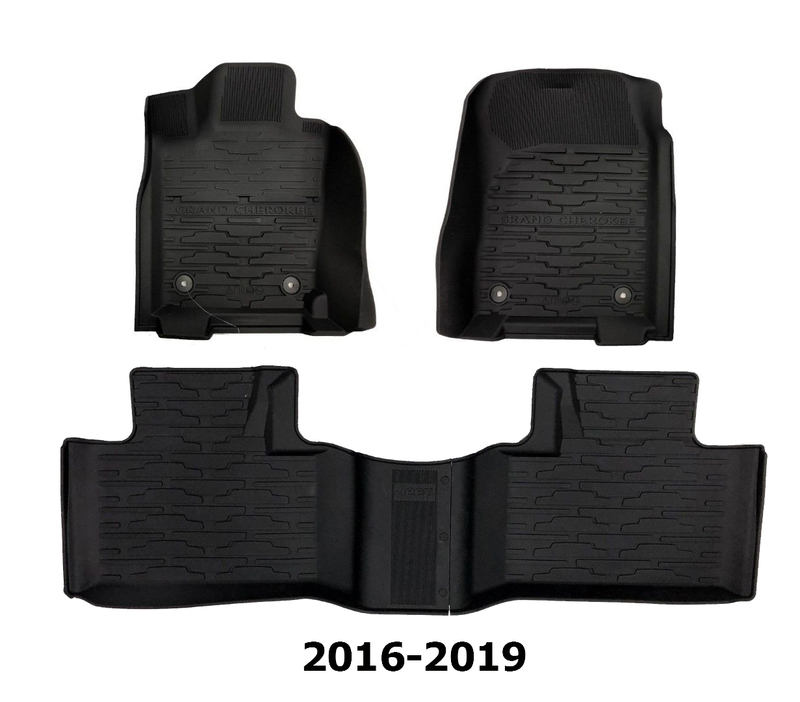 ConsWould have given 5 stars, however the rear mats don't exactly snap together very well in the center where they join together on the "hump" on the floor. 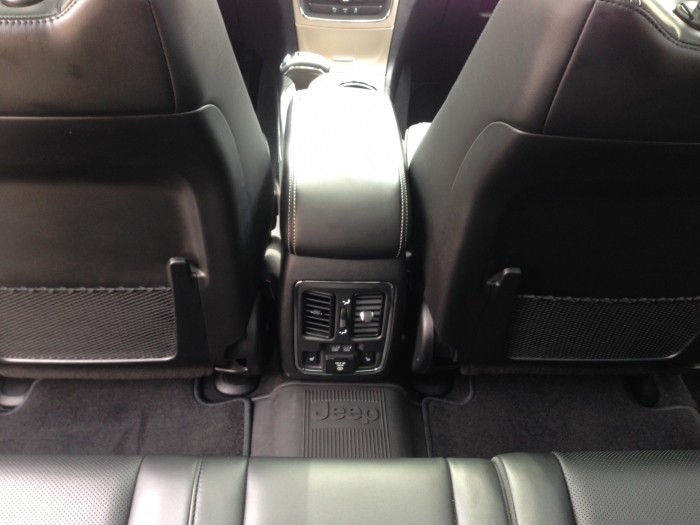 Perfect fit for our 2015 Jeep Grand Cherokee! So much better than the carpet type of mats it came with!! Great price, arrived quick, fits perfect. Good quality and fit my Jeep like a glove. ProsGood Grip and love the Jeep Grand Cherokee Logo. Dresses up utilitarian items. Look amazing and a perfect fit. Outstanding quality and fit my Jeep perfectly. Received in a few days. Floor mats were bent from the shipping/packaging. I had to lay them out overnite. The next morning after they returned to proper shape, they fit perfectly. I especially like the deep recesses to hold tracked in winter water and slush. I especially like the rear mats covering the "hump". The two rear mats lock together and are easy to lock/unlock and won't come apart with normal use. ProsDesign, quality and fit are excellent. Can't go wrong with official parts. Just make sure the year of your jeep matches what just for jeeps displayed and that's it. Shipping is fast and installation was quick and easy. These mats are the perfect fit. 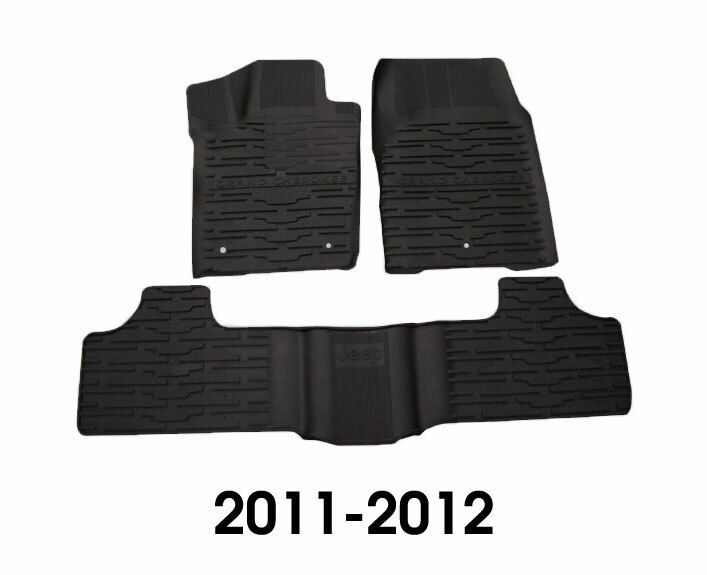 Best price for super great floor mats! The ease of shopping and buying from Just for Jeeps is awesome. The floor mats for perfectly and were delivered as promised. I will recommend this site to all jeep owners. ProsGreat prices and quality products. These mats were a great find...priced reasonably,great quality,fast shipping. The best I found. They fit perfectly in my Grand Cherokee Summit. Very happy with my purchase! These are very nice mats...good quality, thickness, pattern, and Jeep Logo. The front mats fit perfectly and aren't "overwhelming" like WT. My only minor complaint is the 1 piece back mat. I wish the actual mat floor size(behind each seat) was a little bigger...doesn't cover the floor space/carpet as well as it should. Come on Mopar...easy to see and fix! Overall, I would highly recommend these mats! I also got Cargo Mat for the back(also has the Jeep Logo)...I'm happy with this as well. ProsPrice--Less Expensive than WT and I think nicer in appearance. Jeep Logo vs. WT logo(or anyone else's logo). These feel and look like part of your vehicle as opposed to a "after market" product. Cons1 piece Back Mat is a little too small to cover all the carpet(behind each seat). Although this is not a buying deterrent, Mopar should fix this. ProsTraps mud, water & slush to keep the carpet underneath clean and dry. Fits perfect and arrived earlier than stated. The slush mats fit perfect and really protect the carpet well. The order arrived a few days earlier than predicted. Very happy with the purchase. Love them! Only wish they had them in brown to match my interior since I have the summit platinum edition with the mocha interior. They are way better than weather tech! Product quality is great and fits very well inside Jeep. Shipped quickly after purchase, exactly what I wanted. Little pricier than I would�€™ve liked but whatcha gonna do. The fit is good enough. However the one that goes in the back row seats isn't quite wide enough. But good enough. took approx 4 weeks to have it delivered. ConsWish the back row was a bit wider to go under the front seats a bit. I am very impressed and pleased with my slush mats!! Great quality and great price. Love that its original to my Jeep.